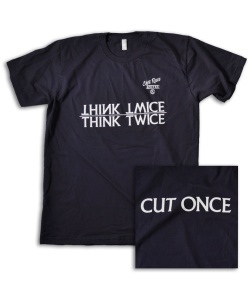 Navy blue short sleeve t-shirt with white print: "Think Twice" (front), "Cut Once" (back). 100% pre-shrunk cotton. Choose your size in the drop down menu above.